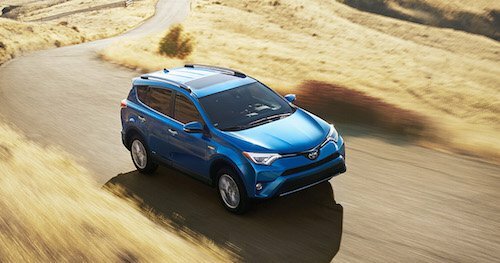 Our used SUV dealership near Barrington, New Hampshire offers a beautiful selection of used Toyota SUVs often including Toyota 4Runner, Highlander, RAV4, Land Cruiser and Sequoia models. We also have pre-owned SUVs from a variety of manufacturers including Honda, Ford, Chevy, Nissan, Kia, Jeep and Subaru frequently in stock. Browse our inventory of used SUVs for sale to see available models, photos, mileage and dealer special offers. For your convenience, we offer several financing options for buying a used SUV near Barrington, NH. We can arrange used SUV financing even if you have a less than perfect credit history. Our team of auto financing experts can help you find the perfect vehicle at the perfect price with affordable monthly payments. We invite you to visit our used SUV dealers near Barrington for a great selection of used vehicles, convenient financing and affordable prices at our Toyota dealership near you.